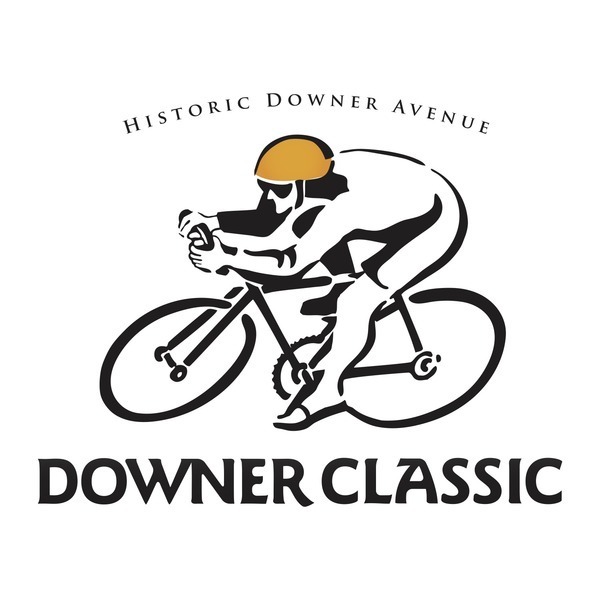 The Downer Classic has the bike racing history and local street cred to make this one of America’s premier criteriums. With a flat three and one-half corner course, mega crowds and the infamous Ben’s Cycle Super Prime and Party, this is a must-attend event. 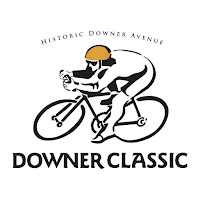 The Cafe Hollander Downer Classic promises to be one of the highlights of cycling in Wisconsin this summer. The full day of racing also features a popular kids’ race, a Belgian Bier Festival, the famous Ben’s Cycle Super Prime, as well as a full slate of racing into the evening. Kids can climb the Lake Park Dental Adventure Rock to get a bird’s eye view of the racers as they come around turn 1! The Pizza Man Spin Art station is always a big hit too- create your own masterpiece while pedaling a stationary bike. Adults will enjoy the Cafe Hollander Belgian Bier Festival including awesome food pairings like frites, totterballen, and cheese snacks, all while competing in a giant Jenga game. Live music will follow the races. Please note that parking will be limited near the store for the day The best parking is likely to be further south, near Eastcastle and Columbia St. Mary's Hospital. If you love bike races and bike-themed fun, this is for you. If not, don't forget that we're open 10 am to 6 pm on Sunday. Please note that registration is at capacity for John Gurda's talk at Discovery World for Milwaukee: A City Built on Water - this event is sold out. Gurda will be doing other events during the year for this book, including one at Milwaukee Public Library's Loos Room on Monday, October 1 and the Milwaukee Art Museum on October 15. In addition, he's at the Franklin Public Library on Thursday, September 20 and at the Polish Center of Wisconsin, also in Franklin, on October 2. Visit John Gurda's author event page for additional information. Registration is likely required. To get a copy signed of Milwaukee: A City Built on Water, please contact us at info@boswellbooks.com or (414) 332-1181. Prepayment required for personalization. At two Milwaukee-area libraries, a double dose of book club inspiration. Boswell’s Daniel Goldin teams up with a librarian from the Frank L. Weyenberg Library (at 2 pm) and Paulette Brooks from Elm Grove Public Library (at 6:30) to offer recommendations of new and classic titles sure to provide lively book club discussions. And then onto the second act, a talk by Kathleen Rooney, author of the national indie bestseller Lillian Boxfish Takes A Walk and one of our top book club picks for spring and summer. Lillian Boxfish took 1930s New York by storm, working her way up writing copy for R.H. Macy’s to become the highest paid advertising woman in the country. It was a job that, she says, “in some ways saved my life, and in other ways ruined it.” On New Year's Eve 1984, 85-year-old Lillian Boxfish crosses Manhattan on foot, finding adventure at every turn and recalling a remarkable life. A love letter to city life in all its guts and grandeur, Lillian Boxfish Takes a Walk paints a portrait of a remarkable woman across the canvas of a changing America: from the Jazz Age to the onset of the AIDS epidemic; from the Great Depression to the birth of hip-hop. Kathleen Rooney is a founding editor of Rose Metal Press and a founding member of Poems While You Wait. Her work has appeared in The New York Times Magazine, Salon, and The Nation. She was named Best Novelist by the Chicago Reader in 2017. Pewaukee native Stark returns from Montana with his latest book of American history, Young Washington. Weaving together harrowing wilderness adventures and a broader historic context, Stark’s book offers a brash, unexpected view of the president we thought we knew. Two decades before he led America to independence, George Washington was a flailing young soldier serving the British Empire in the vast wilderness of the Ohio Valley. Naïve and self-absorbed, the twenty-two-year-old officer accidentally ignited the French and Indian War, a conflict that opened colonists to the possibility of an American Revolution. Terrifying summer storms and subzero winters helped prepare Washington for Valley Forge. Leading the Virginia troops into battle taught him to and stand with those who looked to him for leadership. Negotiating with colonial allies honed his diplomatic skills. Thwarted in his obsessive young love, he grew to cultivate deeper, enduring relationships. All of this and more transformed Washington from a temperamental striver into a mature leader. Peter Stark is a historian, adventure writer, and author of The New York Times bestseller Astoria, along with The Last Empty Spaces, Last Breath, and At the Mercy of the River. He is a graduate of Dartmouth College and University of Wisconsin-Madison. He is a correspondent for Outside magazine and has written for Smithsonian and The New Yorker. And then it's time for our Summerfest break! Please visit our upcoming events page for information about more summer events. In The New York Times Book Review, Colm Toíbin meditates on There, There, the much-lauded first novel from Tommy Orange: "In this big, noisy novel filled with absences, stray clues, odd traces, Orange has managed to fix his attention fiercely on Oakland as a place of pure stability. 'I feel bad sometimes even saying I’m Native,' one of the characters says. 'Mostly I just feel I’m from Oakland.' Toward the end of the book one of the characters 'is the fire and the dance and the night,” but in the next sentence “he’s standing in front of a BART map.'" Our buyer Jason noted how well we are selling Seymour M. Hersh's Reporter: A Memoir, which could have had the alternate title of I, Sy. The aptly named profile in The New York Times noted that Hersh didn't feel like he was ready to tell his story. Michael M. Grynbaum notes: "Not for the first time in his career, the editors prevailed. Reporter, a 355-page memoir, will be released on Tuesday. The book is by turns rollicking and reflective, sober and score-settling. It reconstructs his reporting on Vietnam, his feuds with Henry Kissinger, the foibles of former bosses like A.M. Rosenthal at The New York Times and William Shawn at The New Yorker. It also exhumes journalism’s flush, predigital heyday - when newspapers felled presidents and Mr. Hersh, as a newbie at The Times, was put up at the Hôtel de Crillon while on assignment in Paris." Less, Lillian Boxfish Takes a Walk, and Eleanor Oliphant Is Completely Fine to me have similar cover treatments, with the titled character on a field of aqua. Both Less and Eleanor also share huge breakout success in paperback, though don't count out Lillian as a sleeper. All the books are also very place-y, with Greer taking a round-the-world approach, with Rooney and Honeyman focusing on New York and Glasgow, respectively. As Denise Davidson wrote in the San Diego Union-Tribune, on Honeyman's setting: "I’ve always found Glasgow to be a wonderful city - warm and funny and full of kindness. There’s a scene at the start of the book where an old man collapses in the street, and I’m sure that if this were to happen in Glasgow in real life, he’d immediately be surrounded by dozens of people trying to help him. It seemed like an appropriate setting for a story about kindness and friendship." We're told by Josh B. Noel that Boswell is one of the few places where you can get Barrel-Aged Stout and Selling Out, having sold out nation-wide, with hundreds of copies on backorder at our two distributors. Needless to say, a lot of the enthusiasm for the book is in Chicago (here's a Chicago Reader teaser: "One of his greatest feats is organizing the book in such a way that it delivers a ton of information (including one of the best explanations I've read of the three-tier system of beverage distribution) without being dense or dry.") but I can see from the different warehouse orders that the demand is transcending the Midwest. Bustle writes up Legendary, the follow-up to a YA breakout bestseller: "Caraval follows Scarlett Dragna, who has never left the tiny island where she and her sister, Tella, live with their powerful, and cruel, father. But when Scarlett receives an invitation to Caraval - the faraway, once-a-year performance where the audience participates in the show - everything changes. With the help of a mysterious sailor, Tella whisks Scarlett away to the show. Only, as soon as they arrive, Tella is kidnapped by Caraval’s mastermind organizer, Legend. It turns out that this season’s Caraval revolves around Tella, and whoever finds her first is the winner. Now Scarlett must find Tella before the five nights of the game are over or a dangerous domino effect of consequences will be set off, and her beloved sister will disappear forever." It's the Summerfest issue, which means no book page in the Journal Sentinel, but there's still the USA Today-reprinted piece on Springfield Confidential: Jokes, Secrets and Outright Lies From a Lifetime Writing for The Simpsons, written by longtime writer Mike Reiss. Here's a teaser: "Besides contributing a zillion jokes, Reiss has been immortalized on The Simpsons, not always voluntarily. In 1992’s 'Lisa’s First Word,' Homer builds young son Bart a bed with a nightmare-inducing clown face on the headboard; Reiss’ father once built his brother a scary clown bed. Mr. Bergstrom (voiced by Dustin Hoffman), the ideal teacher in 1990’s 'Lisa’s Substitute,' is named for one of Reiss’ instructors. Simon based Bergstrom's appearance on Reiss." Six things to say about our Summer-Fall 2018 reading group recommendation list. --My true deadline was our dual book club talks on June 26. Please ignore the detail that I did a book club lunch at the Woman's Club of Wisconsin on June 13. 2. Lops-sided releases! While you would think we'd do another major update in June, it's usually more of a tune-up. There are so many paperback releases between January and June and so few between July and December. The new flyer is pastel green (you know color is important to me) and we should have them available in the store tomorrow. Since you're reading this on our blog, you probably don't need the handout, but, well, just let's say that not everybody reads our blog. 3. Stats! We had an unusual amount of changeover this list, partly because I would have normally cut-off the new releases on the first week of May, meaning the late May and June releases would not have shown up on our checklist until fall. A full 17 of the 24 titles are new. There are six nonfiction titles (about average). There is one traditional mystery, though others cross over into genre. There is one collection of stories, though the publisher did not indicate them as such. There are seven first novel, though one of them is veteran fiction writer George Saunders. 3. Book jackets! One thing I noticed is that is that there were very few changes of cover treatment from hardcover to paperback. Only four titles had major revised covers: Ginny Moon, The Long Haul, Pachinko, and Saints for All Occasions. All but The Long Haul added people to the cover, which generally is a pitch for a more commercial audience. The Pachinko cover is artier than the others and while I liked the hardcover too, that paperback is pretty beautiful. I would have liked to have seen a new cover for The Leavers and maybe The Tea Girl of Hummingbird Lane. I think it's hard to tell that the former is more than a red cover. For the latter, don't laugh, but I would have played up the tea more. So much tea! Two hardcovers had minimal changes - the same image, but background color change. Lillian Boxfish Takes a Walk went from off-white to light blue, and Anything Is Possible went from dark blue to light blue. Lesson: who doesn't love light blue? I love the way Sing, Unburied, Sing and Hum If You Don't Know the Words look together. I'm sort of shocked that Hum's cover didn't change, but that's not because I don't like it. I do! Yes, I'm going to do color wheel stats. Here is the dominant color of each book on the list. Some might say the aqua tone popular for comic novels is more green than blue, but to my thinking, these titles are all screaming, "Please don't call me green." 4. I am really fixated on the idea of reading books in pairs, and I was kind of taken by how many books read well together. Either the books can be read in succession, or one of them can be assigned as extra credit, so to speak. For our In-Store Lit Group, I paired The Tea Girl of Hummingbird Lane with Jenny Zhang's Sour Heart (not on the list) for two contemporary takes on being Chinese American. The walking books - Pair Lillian Boxfish Takes a Walk with Flaneuse. Author Rooney is a student of flâneurs and flâneuses. The gutting of the middle class books - Janesville, Anything Is Possible, and The Long Haul are all fixated on the stresses on the middle class. Old New York - Pair Lillian Boxfish Takes a Walk with Manhattan Beach. I've long suggested that folks read Exit West along with The Underground Railroad. Without reading either, I wondered whether The Underground Railroad would pair well with Underground Airlines. Now that I've read both, I stand by the pairing! 5. I was just talking to former Boswell bookseller Jocelyn who told me that comedies are trending in romance, and look at that, a comic novel just won the Pulitzer Prize. I was also thrilled to hear Stephen McCauley featured on Terry Gross's Fresh Air for My Ex-Life. I've been feeling that fiction has been taking a back seat to cable and streaming television, and it was glorious to have a comic novel featured. Maybe what we need is a full year of comic fiction - with Less and On Turpentine Lane, we've got you started. And how many of you noticed that both Greer and Lipman's novels have upside down tropes on their cover. Let's fact it, upside down is funny! 6. 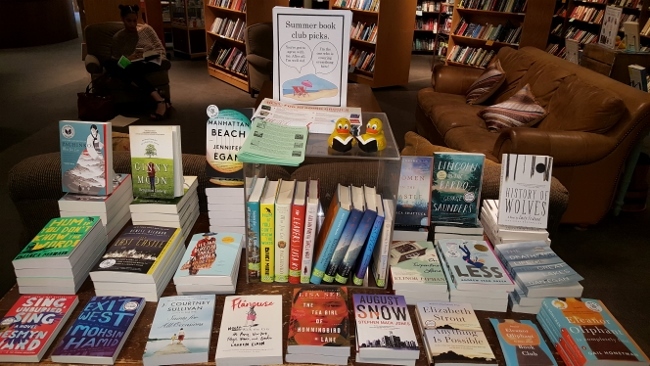 Here is a complete list of our summer-fall book club recommendations. 7. Two events book club events with Kathleen Rooney. 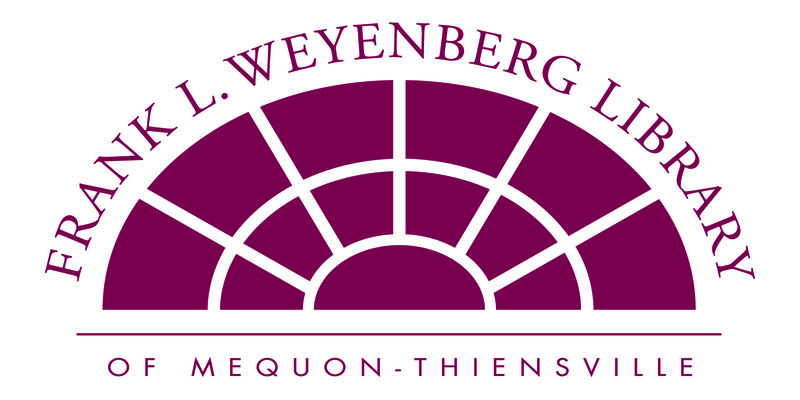 On Tuesday, June 26, 2 pm, we'll be at the Frank L. Weyenberg Library in Mequon. At 6:30 pm, we'll be joined by librarian Paulette Brooks at the Elm Grove Library. I'll be talking more about these books, and librarians will join in with their picks, followed by a presentation about Lillian Boxfish Takes a Walk. How did the book club go? Lincoln in the Bardo, by George Saunders. Is a novel long-awaited if you never thought it would happen? Saunders move from cult status* to mainstream phenomenon came with Tenth of December, which The New York Times proclaimed in an early January edition to be the best book of the year. Though kind of a cocky move (and a publicist's dream), at year's end, the book indeed made a lot of best-of lists. And then Saunders followed-it up with his first novel, which wound up not only making best-of lists, but won the Man Booker Prize, the second American to win in only two years when they were able to qualify. No wonder there's a contingent that would like to see the United States kicked out again. Every book group who tackles Lincoln in the Bardo knows that it is the story takes place in 1862, after the death of Abraham Lincoln's son Willie. Talk was that Willie was temporarily kept at a crypt, and in his grief, Lincoln visited multiple times. The book takes place on one visit. What is well-known about the book is that the dialogue is from various ghosts. This fact has taken center stage as the audio book version of Lincoln in the Bardo has received more than one award. They used 166 actors for the voices, including the power couple Nick Offerman and Megan Mullally, David Sedaris, Don Cheadle, Bill Hader, and well, you can see the rest in Entertainment Weekly. Another structural achievement of Saunders book is in the non-dialogue part. Our book club (like many) has read a good amount of historical fiction and often discusses the research that goes into the work. We often note how the research is used - did the research set the framework for the novel or was it used to fill in gaps afterwards after the author free-wheeled the narrative, E.L. Doctorow style? And most notably, did the author keep control of the research or did it overwhelm the narrative. And one should note that's a matter of taste - many readers love historical fiction that might be more correctly called "historical fact-ion." In Lincoln, George Saunders takes all the reference material and crazy-quilt stitches them into the story, in the exact wording, references and all. I had never seen this before and thought it made a fascinating counterpoint to the main narrative, which was speculative in nature. I wasn't sure how our book club, which this month had thirteen attendees, would react. We had a spirited discussion about how Saunders wove the historical narrative into the fantastical story. We had a lot to say about how he touched on race, class, and gender issues. There was a lot of talk about the Lincoln family and the Civil War, and how their personal story fit into the larger narrative. I'd say about eight of them were very enthusiastic about the book, while the rest were on the fence or failed to be engaged. This is one of those books that drives the cultural conversation in literature, and I use the book club as a way of checking off several of these titles that I didn't get to in hardcover. I think any book club that includes "important" or "adventurous" in its mission statement (you all have mission statements, right?) should have Lincoln in the Bardo on their reading list. And for those groups where a good portion does not want to read something they feel uses the verb "to tackle," but a vocal minority wants to visit the Bardo, maybe it's best to wait for the movie version, also being helmed by Nick Offerman and Megan Mullally. *George Saunders visited the Downer Avenue location of the Harry W. Schwartz Bookshops for one of his early collections. I am pretty confident at this point that we've hosted several authors who one day we'll look back and say, how the heck did we get them to come? Don't forget about book club Monday! *September's meeting always falls on Labor Day. This year we're meeting August 27 to discuss Sing, Unburied, Sing. Our complete schedule is on the Boswell book club page. Event alert: Timothy Lensmire at Shorewood Public Library tonight 6/19, Josh B. Noel at Good City on Thursday 6/21, Sabaa Tahir 6/22, Cara Black 6/24, John Gurda at Discovery World 6/25 - register for Gurda and Tahir. White Folks explores the experiences and stories of eight white people from a small farming community in northern Wisconsin. Lensmire grew up in this community and creates a generous but clear-eyed portrait of white folks’ conflicting ideas and feelings about race and who they are, as white people, in America. Lensmire will read from and sign copies of his book. Here's a little more about White Folks. What does it mean to be white and American? White Folks moves beyond the dominant critical methodologies of examining 'whiteness, ' to conceptualize white people in a way that is unafraid to confront, head on, the violence at the core of white racial selves, but that also that illuminates conflicts and complexities there. The book focuses on the authors' own experience of growing up in a small, rural community in northern Wisconsin, and the stories of people from that community, drawn from a series of in-depth interviews. Timothy Lensmire is a Professor at University of Minnesota's Department of Curriculum and Instruction. In the author's words, "I explore the possibilities and problems of various critical pedagogies for how they can promote and embody radical democracy; and I explore how white people learn to be white in our white supremacist society." The sponsors of this event are Shorewood Public Library, the YWCA Southeast Wisconsin, and the Shorewood School District. Please note that Boswell will be on hand to sell books, but supply is limited. Boswell cosponsors an event with Chicago-based Josh Noel, one of the nation’s foremost beer journalists, for his new book, Barrel-Aged Stout and Selling Out, at Good City Brewing Company. Noel will discuss the state of craft beer and the impact of Goose Island’s history and unprecedented sale to Anheuser-Busch on the beer industry with Goose Island alum and Good City Brewmaster Andy Jones. Goose Island opened as a family-owned Chicago brewpub in the late 1980s and soon became one of the most inventive breweries in the world. In an age of light, bland, and cheap beer, John and Greg Hall brought European flavors to America. Goose Island became one of the 20 biggest breweries in the United States, an American success story and a champion of craft beer. Then, the Halls sold the brewery to Anheuser-Busch, maker of the least craft-like beer imaginable. The sale forced the industry to reckon with craft beer’s mainstream popularity which few envisioned. Beer fanatics across the country as the discussion escalated into a craft beer war. From that outcry rises a question: how should a brewery grow? Josh Noel writes about beer and travel for the Chicago Tribune, has contributed to This American Life and The New York Times, and has won multiple awards from the North American Guild of Beer Writers. Note that both Boswellians Daniel and Jason have read Barrel-Aged Stout and both thought Noel did a great job. Boswell is so excited to be part of the tour for Sabaa Tahir’s A Reaper at the Gates, the third volume of The Ember Quartet. This event will be free but registration is required at tahir.bpt.me. Registration gets you better an earlier line letter, and trading up to the book with ticket package offers a shot at reserved searing. Please note that VIP tickets to this event are sold out. Not enough enthusiasm? Here's a review from Boswellian Jenny Chou, who will be in conversation with Tahir for the event: "My first thought after finishing A Reaper at the Gates: Not sure how I will go about my day in this world when my heart is still with Laia, Elias, and Helene in theirs. The stories of the three main characters are tightly intertwined, and each can only survive at the demise of the others. And yet none are willing to sacrifice love, and so they struggle to find another way and a shred of hope. But war is looming, and tough choices must be made. Brilliantly plotted, this YA fantasy will satisfy long-time fans and if you haven't started the series yet, snap up the first volume, An Ember in the Ashes, and spend the summer (or one really intense weekend) reading all three!!" Milwaukee loves Cara Black and loves Paris, too, so Black is returning to Boswell with the 18th mystery in her Parisian detective series full of local color and French culture, an atmospheric thriller with a savvy take on international arms dealing. Cosponsored by Alliance Française de Milwaukee and Crimespree Magazine. A confession fifty years in the making puts everyone’s favorite Parisian détéctive très chic, Aimée Leduc, on a collision course with the Black Hand, a cabal of corrupt Parisian cops, among whose ranks her disgraced father may have once found membership. When a friend’s child is kidnapped while wearing her daughter’s hoodie, Aimée realizes that the case has crossed into the realm of the personal in more ways than one. Early reviews on Murder on the Left Bank are great. Publishers Weekly wrote: "Once again Black combines a twist-filled mystery with a convincing look at the culture and politics of the City of Lights" And Booklist offers this take: "For longtime Aimée fans - and are there any other kind, really? - this episode is particularly poignant, both for the backstory it reveals and what it suggests about the future." Cara Black is the author of eighteen books in The New York Times bestselling Aimée Leduc series. She has received multiple nominations for the Anthony and Macavity Awards, and her books have been translated into German, Norwegian, Japanese, French, Spanish, Italian, and Hebrew. She lives in San Francisco and visits Paris frequently. Update: Please note this event is sold out. We're at capacity for this event. Gurda will be doing additional events for Milwaukee: A City Built on Water over the next several months. Milwaukee’s preeminent historian makes his first public appearance with his latest book, Milwaukee: A City Built on Water, which expands upon his popular PBS Milwaukee documentary to relate the mucky history of the waters that gave Milwaukee life. Boswell is cosponsoring this event, and registration is required for attendance, by emailing whspress@wisconsinhistory.org or calling (608) 264-6465. Doors open 6:30 pm. We're going to double check this morning to see if the event is full and update the blog and website if it is. Telling tales of brewers, brickmakers, ecologists, and engineers, Gurda explores the city’s complicated connection with its most precious resource and greatest challenge. Generations of people, from a Potawatomi chief to fur traders and fishermen, settled on the small spit of land known as Jones Island. Learn how Milwaukee’s unique water composition creates its distinct cream-colored bricks, visit Wisconsin’s first waterparks, and see how city leaders transformed the Milwaukee River, once described as a “vast sewer” with an “odorous tide,” into today’s lively and lovely Riverwalk. John Gurda is a Milwaukee-born writer who has been studying his hometown since 1972. He is the author of twenty-one books, including histories of Milwaukee-area neighborhoods, churches, and industries. He is also a photographer, lecturer, regular contributor to Milwaukee PBS's Around the Corner with John McGivern, and local history columnist for the Milwaukee Journal Sentinel. Gurda is an eight-time winner of the Wisconsin Historical Society’s Award of Merit. Summer is to paperbacks as is fall to hardcovers, or so it seems on the Boswell bestseller list for the week ending June 16, 2018. Yes, 6 of these top 15 titles are on the list because of events this week, but book clubs are also an important component of this list. We had one of our clubs who buys their books for the season together start to come in and make their purchases, and I'm excited to say they took some of our suggestions, including Lillian Boxfish Takes a Walk (they meet near the Frank L. Weyenberg Library, where Rooney will be on Tuesday, June 26, 2 pm), Sing, Unburied, Sing, and History of Wolves (and of course Fridlund visited Boswell for her hardcover tour. Jeff VanderMeer's Borne is the next pick of the in-store SF book club. And I should note that Meddling Kids by Edgar Cantero (signed copies available*), who visited on Thursday, is the July selection for the Books and Beer Book Club. For me, I am currently reading Underground Airlines, which is being discussed tomorrow, July 18, at Cafe Hollander. I can't wait to hear what Jen has dug up about the book. Speaking of events, congrats to recent guest Gail Honeyman, for debuting at #1 on The New York Times bestseller list in paperback for Eleanor Oliphant Is Completely Fine (a few signed copies available). I noticed that the publishers seemed to try something different with this release, keeping the paperback info off public websites as long as possible to keep sales going on the hardcover. 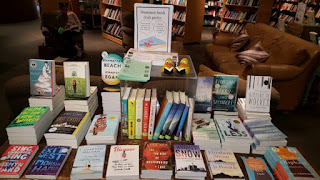 Short story collections don't always create a flurry of activity, especially for authors better known for their novels, but I spoke to several customers, and at least one author, who were anxiously awaiting the release of Lauren Groff's Florida. Of the new book, Jackie Thomas-Kennedy wrote in the Star-Tribune wrote that Florida "is filled with the mesmerizing, decadent language one finds in all of her work. Although a few of the stories follow Floridians abroad (in Brazil and in France), the titular state looms as a setting of lush beauty and swift menace: snakes and hurricanes, ghosts and sinkholes, panthers and St. Augustine grass." Look at that! A sales pop for a book (Pops: Fatherhood in Pieces) specifically published for Father's Day. Though this salute to dad does lead to book sales, the sales seem to be a bit more diffuse, though it seems clear that books that might be for a Father's Day gift do usually get published 4-6 weeks before the holiday. So it takes guts to publish an essay collection that might die on June 17, but if you're lucky, will perennially sell in future Junes. Fiona Sturges wrote about Michael Chabon's latest in The Guardian: "Pops, then, is for him another in a long line of books that, once published, will refuse to reciprocate the time and nurturing poured into them. It is not, it should be noted, a misty-eyed treatise on the miracle of life, or a parenting manual dispensing solemn advice about how best to steer one’s offspring towards a rich, rewarding adulthood. Yet it stands as a heartfelt and thoughtful meditation on what parenthood asks of a man. " Yes, Father's Day was once about grilling and golfing, but nowadays we've got Priestdaddy. Patricia Lockwood's father was a married (with child) Lutheran minister who got dispensation from the church to convert and become a priest. This book, a bestseller in hardcover, was reviewed by Liam Carson in The Irish Times: "Like Flannery O’Connor, Lockwood looks beyond surface grotesquery to find 'mercy.' In an era of black-and-white ideological battle lines, Priestdaddy’s wonderful wit, candour**, compassion – and often lyrically gorgeous prose – is a much-needed antidote to simplistic caricatures. In Dave Eggers's latest novel for middle-grade readers, The Lifters, Granite (Gran) Flowerpetal and his family move to the family home in a town that once made carousels. Publishers Weekly writes that Eggers "successfully blends the real and the fantastic in unexpected ways as Gran and Catalina face a mysterious, hurricane-like force that thrives from their fellow townspeople's sadness and fear. Black-and-white drawings by Renier lend a retro storybook feel to this cozy contemporary novel about lifting spirits and rebuilding community through teamwork and imagination." Over at the Journal Sentinel, Kathy Flanigan profiles Josh B. Noel's Barrel-Aged Stout and Selling Out: Goose Island, Anheuser-Busch, and How Craft Beer Became Big Business. She writes: "For anyone who frequents Milwaukee’s 30 craft breweries, or anyone who has quaffed a beer in the Goose Island Bourbon County bar at the Wisconsin State Fair, Noel’s story sets up the brew battle with insider knowledge that only a beer reporter could have. For those whose love of beer is related to knowing who made what’s in the glass, Barrel-aged Stout and Selling Out is important information. Read the book. Rethink the pour." Noel will be at Good City Brewing on 2108 N Farwell on Thursday, June 21, 7 pm. From Jocelyn McClurg at USA Today comes a review of Todd Fisher's My Girls: A Lifetime With Carrie and Debbie. Son of Debbie and sister of Carrie (as opposed to Sister Carrie) notes that he was not a fan of Papa Eddie and that Robert Wagner might have been the love of Debbie's life. Another takeaway: "Unlike his sister, Todd Fisher always got along famously with his mother 'My mom was fun and funny and playful and smart and beautiful,' he writes. 'It was one of the core facts of my life that she and I adored each other, that we’d had a rare connection from the moment I started growing in her belly.'" *Should I just abbreviate that as SCA? DePaul University professor and Chicago-based writer Julia Fine comes to Boswell with her darkly funny debut novel about a highly unusual young woman who must venture into the woods to remove a curse that has plagued the women in her family for centuries. Maisie, born with the power to kill or resurrect at her slightest touch, has spent her childhood sequestered in the family’s manor at the edge of a mysterious forest. Maisie’s father has warned her that local villagers talk of men disappearing inside this dark wood; when they return, their minds are addled, their stories strange. What he has not told her is that for centuries, her female ancestors have also vanished into the wood, never to emerge. But one day Maisie’s father disappears and Maisie must venture beyond the walls of her carefully constructed life to find him. Away from her home and the woods for the very first time, she encounters a strange and terrifying world filled with love, excitement, and dark human forces. Yet the further she strays, the more the wood calls to her. For only there can Maisie finally reckon with her power and come to understand the wildest parts of herself. Julia Fine teaches writing at DePaul University and is a recent graduate of Columbia College Chicago’s M.F.A. program. Two awesome authors. Two brand new novels. One wonderful event! Bestselling author Karma Brown visits Boswell for a conversation with Wisconsin’s Amy E. Reichert about fiction and families, secrets and surprises, and the unexpected twists of their characters’ lives. Brown’s newest, The Life Lucy Knew, is the emotionally charged story of a woman finding out that everything she knows about her life might not be true. One fateful morning, Lucy awakens in the hospital to a shocking revelation: the man she loves is not her husband. The happily-ever-after she remembers is what doctors are calling a “false memory,” created after an accidental head injury. When the life she believes she had slams up against the reality she’s been living for years, Lucy must make a difficult choice about which life she wants and who she really is. Three generations. Seven days. One big secret. In The Optimist’s Guide to Letting Go, Reichert unfolds a mother-daughter story told by three women whose time to reckon with a life-altering secret is running out. When Gina’s mother suffers a stroke, Gina stumbles upon a family secret kept hidden for forty years. In the face of her mother’s failing health and her daughter’s rebellion, this optimist might find that piecing together the truth is the push she needs to let go. Karma Brown is an award-winning journalist and author of the bestsellers Come Away With Me, The Choices We Make, and In This Moment. Amy E. Reichert is the author of The Coincidence of Coconut Cake, Luck, Love and Lemon Pie, and The Simplicity of Cider, and serves on Hartland (Wisconsin) Public Library’s board of directors. Milwaukee Record presents Edgar Cantero for a stop at Boswell on the paperback tour of Meddling Kids, the enjoyably batty book that’s perfect for fans of horror and hilarious hijinks and anyone who grew up on Saturday mornings filled with sugar-coated cereal and Scooby-Doo. In the summer of 1977, the Blyton Summer Detective Club solved their final mystery and unmasked the elusive Sleepy Lake monster: another low-life fortune hunter trying to get his dirty hands on the legendary riches hidden in Deboën Mansion. Thirteen years have passed and those former kid detectives have grown up and apart, each haunted by disturbing memories of their final night in the old haunted house. There are too many strange, half-remembered encounters and events that cannot be explained away by a guy in a mask. The time has come to get the team back together, face their fears, and find out what actually happened all those years ago at Sleepy Lake. It’s their only chance to end the nightmares and, perhaps, save the world. See our goofy ad on Milwaukee Record's website. Presenting two Pulitzer Prize winners in conversation! Jennifer Egan, winner of the Pultizer Prize for A Visit from the Goon Squad and current winner of the Carnegie Medal for Manhattan Beach, is joined by Andrew Sean Greer, current winner of the Pulitzer Prize for Less. It’s a first for Boswell and it’s a one-of-a-kind event that is only happening in Milwaukee. Manhattan Beach, Egan’s first foray into historical fiction, takes us into a world before and during World War II, populated by gangsters, sailors, divers, bankers, and union men in a dazzling, propulsive exploration of a transformative moment in the lives and identities of women and men, of America and the world. And here’s more about Less. Arthur Less, a failed novelist, is about to turn fifty. A wedding invitation arrives in the mail from Less’s boyfriend of the past nine years. He can't say yes - it would be too awkward - and he can't say no - it would look like defeat. On the desk are a series of invitations to half-baked literary events around the world. So how does Arthur arrange to skip town? He accepts them all. What could possibly go wrong? Tickets to this event are $19 and are available at egangreer.bpt.me. The price includes admission, all taxes and fees, and a paperback copy of Manhattan Beach or Less or both at a special price of $34. Only 300 tickets available for this event. Andrew Sean Greer is the bestselling author of five previous works of fiction, including The Confessions of Max Tivoli, which was named a best book of 2004 by The San Francisco Chronicle and the Chicago Tribune. Jennifer Egan is the author of five previous books of fiction, including A Visit from the Goon Squad, which also received the National Book Critics Circle Award, and Look at Me, a National Book Award Finalist. Milwaukee native and Clarion workshop alumnus Burke visits Milwaukee Public Library’s East Library Branch for a discussion of Semiosis, a sweeping sci-fi epic of first contact that spans generations of humans struggling to survive on an alien world. Boswell is cosponsoring this event. Colonists from Earth wanted the perfect home, but they’ll have to survive on the one they found. They don’t realize another life form watches... and waits. They weren’t prepared for a planet which provides a lush but inexplicable landscape or to deal with the ruins of an alien race. Conflicts between generations arise as they struggle to understand one another and grapple with an unknowable alien intellect. Perfect for fans of Jeff VanderMeer, Burke spins this knowledge into a remarkable tale of interspecies interaction, taking cutting edge botanical and ecological science and driving it to the logical extreme for her impressive debut. Chicago-based Sue Burke spent many years working as a reporter and editor for a variety of newspapers and magazines, including those in the Milwaukee area. A Clarion workshop alum, Burke has published more than thirty short stories in addition to working extensively as a literary translator.